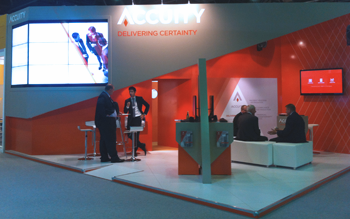 Accuity was unveiled at Sibos as the new brand of legacy organisation BankersAccuity, owned by Reed Business Information and part of Reed Elsevier. Following an initial merger between Accuity and Bankers Almanac in December 2011, BankersAccuity selected Accuity as the umbrella brand unifying the legacy of these two organisations. Accuity’s solutions continue to be powered by Bankers Almanac, the gold standard for proactive data collection in the banking industry. 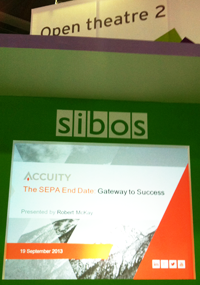 Accuity’s Managing Director, Robert McKay, presented ‘SEPA End Date: Gateway to Success’ at an Open Theatre session on Thursday, 19 September. To get ready for SEPA compliance, banks must begin to implement a strategy to convert BBANs to IBANs with BIC, modifying files to the new XML ISO 20022 standard and consider new customer authorization mandates. In the Open Theatre session, Mckay discussed paths to becoming SEPA compliant, what a project entails, and some best practices seen from early adopters. It is clear that the implications of SEPA are more expansive than just the Eurozone and there is a lot of focus on making sure not only banks but corporates are SEPA ready. Changes on the horizon will affect any organisation that needs to transact across borders. Over Accuity’s 175+ year history, we’ve gone to great lengths to ensure that our solutions are always Delivering Certainty; that your payment processes are efficient and drive costs down, that the possibility of transacting with high-risk entities is identified and mitigated, and that your bank counterparty due diligence is thorough and insightful. Are you ready for SEPA 2014? Download your copy of this special edition today. 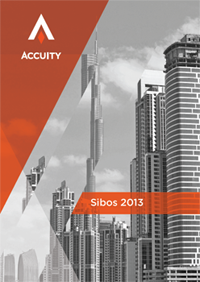 One of Accuity’s main areas of focus, regulatory compliance, was a key theme of Sibos 2013, with the impact of regulation in the Middle East region playing a leading role in the conversation. The Middle East region has a unique challenge in dealing with new and upcoming regulation, in that whilst being a partner in a financial trading hub for many western banks, it also serves the needs of its regional banking partners throughout the world. Many banking organisations in the region have participation in some sanctioned countries, and there’s nothing that prevents them from doing so. The Middle East-based banks have to delicately balance their own needs against servicing their regional bank neighbours, as well as the western counterparts. Further still, regulation introduces complexities in terms of the transparency that doing business with western banks require. Trade finance is an incredibly murky world of individual players and holding organisations, and is moving up the regulatory agenda as organisations realise the importance of having to deal with compliance when leaving their own region. Screening of imports and exports has therefore become a main area of focus for the trade finance industry, as organisations work to comply with anti-money laundering and counterterrorist funding regulation in an increasingly complex environment. 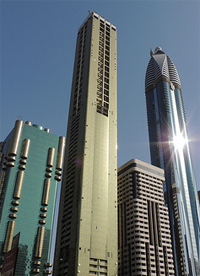 With Dubai and the wider Middle East region acting as a hub for trade finance, it has become an area of growing focus.